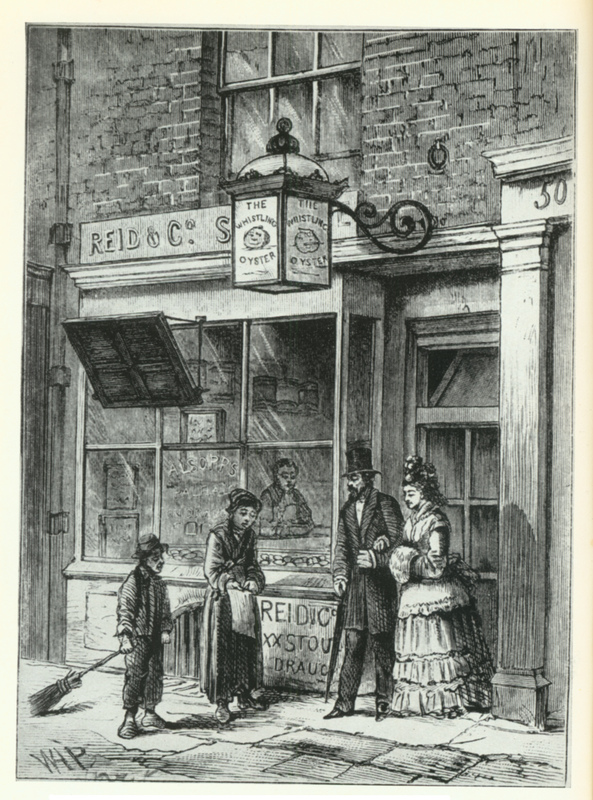 Thomas Beames was still able to write in 1852, in a book called The Rookeries of London, that for the working classes “porter is the common beverage with them, just as vin ordinaire is in France.” But by then there were just two porter-only breweries left, Reid’s in Liquorpond Street, Clerkenwell, and Meux & Co, off Tottenham Court Road. 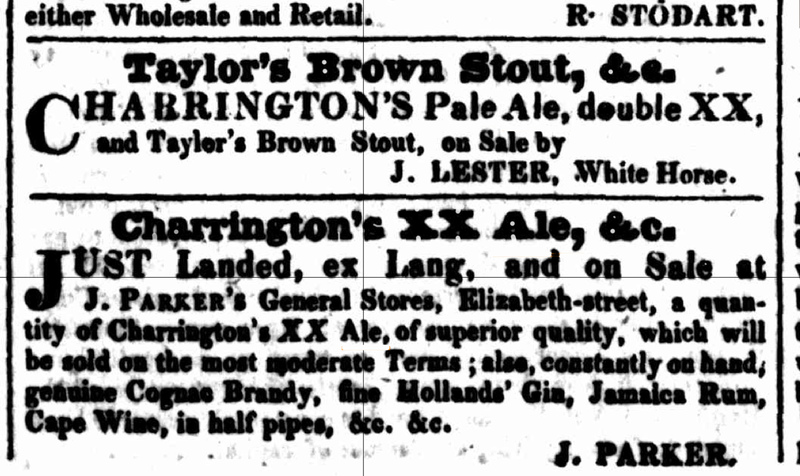 Porter still made up three quarters of London beer sales even in 1863. But the pace against it, was increasing. A comparison of porter and ale sales at Whitbread and Truman, two of the very biggest London brewers, shows a steady if slow rise for ale as a proportion of total output for three and a half decades to around 25 per cent by 1864, followed by big leaps after that: 36 per cent in 1869, 45 per cent in 1874, more than 60 per cent for Truman in 1879, and 57 per cent for Whitbread. 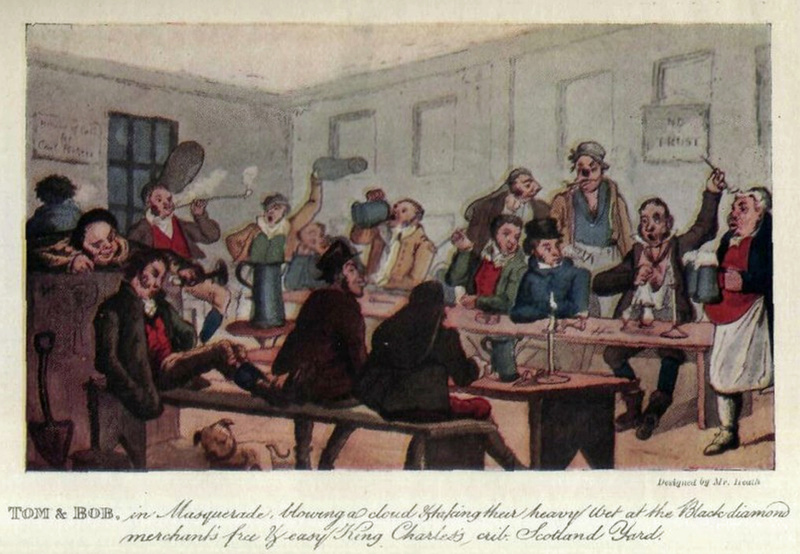 A writer in 1875, reminiscing about the beers of 70 years earlier, during the Napoleonic wars, wrote: “It is strange how the taste of those days for old stale beer has turned to the opposite extreme in the liking for the new and the sweet by the present generation.” In 1872 Meux & Co, which still held on its premises a “reservoir” of porter said to hold the equivalent of 35,000 barrels of beer, had given up its exclusive dedication to porter and stout and began brewing ales as well. Three years later, Reid’s began the construction of a new ale brewery, which opened in 1877. By 1908 “fourpenny beer (mild ale)”, so called because it retailed at four pence a quart, was being described as “the large bulk of the trade of the country”. 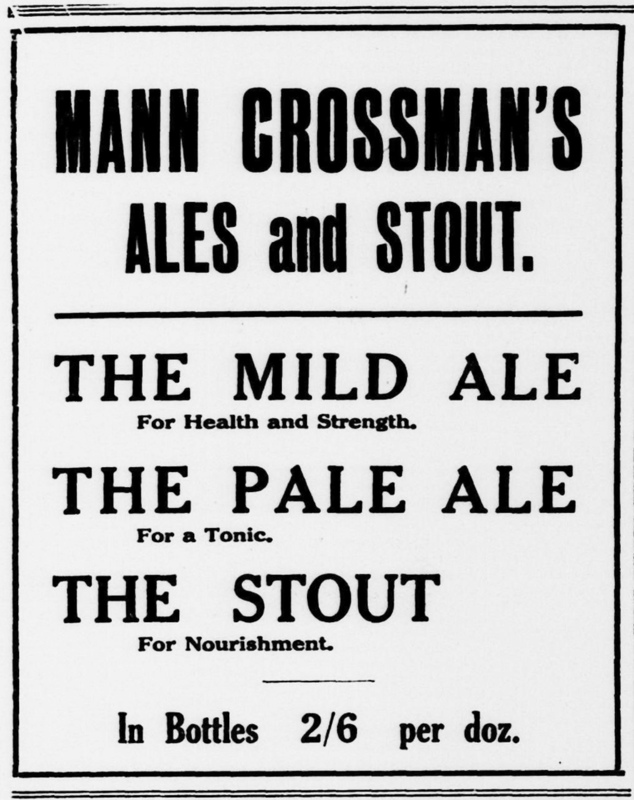 The pressure on brewers to lower the gravity of their beers during and after the First World War, in large part to keep prices down after huge increases in tax, saw porter drop from around 1055OG to 1036. When the war ended, former porter drinkers turned, if they could afford it, to stout, which was now the same strength as pre-war porter. Gradually brewers began dropping porter from their ranges. In 1920, for the first time, Watney Combe Reid, an amalgamation of three big former porter brewers, sent no porter to the Brewer’s Exhibition for sampling. Truman’s, another former great porter brewer, stopped making the beer in 1930. Taylor Walker was still brewing porter in 1936, but stopped soon after. The writer TEB Clarke in 1938 called porter “a lowly brand of draught stout selling in the Public [bar] at fourpence a pint,” about the cheapest beer available. Whitbread stopped brewing porter in the 1940s. It survived – just – in Ireland, but in 1958 the Times newspaper’s survey of Beer in Britain stated: “Porter, the strong dark staple beer of 18th century England, is no longer brewed in Great Britain.” Heavy wet was dead. A small-ad from the Daily Telegraph in 1917 for a high-class establishment in the Strand: not certain what “common spirits” are – ghosts that drop their aitches? Indeed, it was mild ale’s lower class associations that led to its own decline and fall. In 1959 draught mild was 42 per cent of all beer sales, outselling bitter two pints to one and representing six pints out of 10 served on draught, at 10.3 million barrels a year. But a study published by the Times newspaper in 1958 pointed up mild’s growing problem: “Traditionally bitter is looked on as the bosses’ drink. Any man reckons today he’s as good as his boss. So he chooses bitter.” In 1964 draught mild was down to 33 per cent of beer sales by volume. Around 1969, sales of draught bitter overtook those of draught mild for the first time. Six years later, in 1975, as draught mild plunged to barely one pint in eight of total beer sales, it was passed in popularity by a beer that had hardly existed in Britain in 1959 – draught lager. Until very recently lager was still increasing its share of the UK beer market, up from 67 per cent in 2002 to 74.8 per cent in 2014. Last year, however, saw the first dip since the early 1990s (when the growth of the “guest beer” market after the Beer Orders of 1989 gave a brief boost to sales of bitter), albeit by less than 1 per cent, as “ale and bitter” pushed up its share to 21.5 per cent of a falling overall market, down 4.7 per cent to 4.25 billion litres (or 25.97 million barrels, in old-style money). With a growing (though still tiny) proportion of even the lager market now “craft”, are we seeing Big Lager start to slide just the way every “big” style has in the past? I’d say it’s almost inevitable that, yes, Big Lager’s reign will end one day. What the timescale will be, and exactly what will replace it, is hard to guess. The change is likely to be demographics-led: new entrants in the market (those 800,000 or so fresh 18-year-olds legally drinking for the first time every year) choosing something different, rather than their elders altering their purchasing habits. I certainly don’t see those new recruits to alcohol automatically drinking Big Lager: though I may be wrong. But meanwhile the first wave of UK lager drinkers, those who powered the drinks growth in the 1970s as they themselves turned 18, are now in their mid-to-late 50s: give them 10 to 15 years and they’ll be dropping off their perches in vast flocks. That’s about how long I’d give Big Lager, at the most. A big difference is that Porter, Mild and Bitter were all predominantly British products, whereas lager is international. I’m sure I’ve read (probably in your own writings) that 90% of all beer sold in the world is pale lager of some kind – and that’s not going to disappear any day soon. I don’t see that as a brake on what appears to be the inevitability of changing tastes. 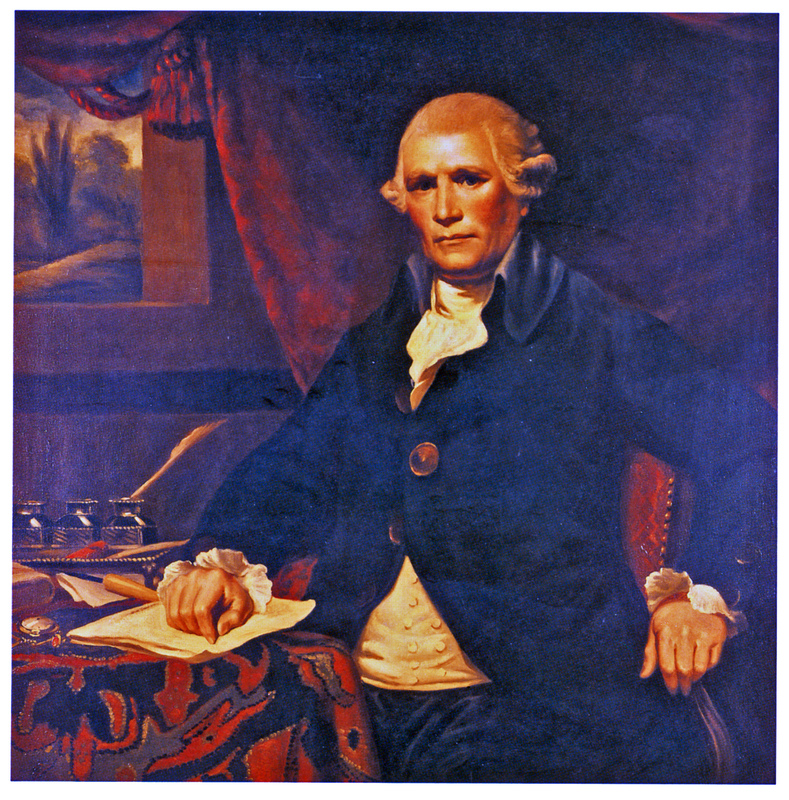 Porter wasn’t prdominantly British, it was the world’s first international beer style. The pre-eminence of Pilsner is already starting to slip. I think people will be shocked to see how quickly it declines once the rot sets in. This is a great question. Thinking about bitter and mild recently — those big 50-100 year cycles of popular taste — we’ve been wondering the same thing. Unless people believe that lager is the ultimate evolution of beer, the perfect end product which can’t be improved upon, then something else *must* usurp it. Session IPA might be a contender but, ach, who knows! Camden Town’s purchase was announced on Dec. 21. The next big acquisition was technically on Dec. 22, when AB InBev purchased Breckenridge (US). Breckenridge brewed about 70,000 barrels in 2015. The next big acquisition after that was Devil’s Backbone (US), which sold to AB InBev on April 12. Devil’s Backbone brewed around 60,000 barrels in 2015, and had planned to produce 95,000 barrels in 2016. Birra del Borgo, which announced its sale to AB InBev on April 22, brewed around 10,000 barrels in 2015. Don’t call the Patagonian yeast “silly” it’s a fantastic and fascinating experiment that could answer some fundamental querstions about the origins of lager yeast and I’d love to try some. Hi Martyn, I guess my point is not so much the idea of Patagonian yeast in itself – hey, if it makes good beer, I’m all for it. But after Heineken’s previous weird marketing-driven moves in Holland (Heineken Extra Cold, served from a frozen tap, and Heineken Extra Fresh, with a pancy-pantsy paper wrapper around it to ‘maintain its freshness’, whatever that is for a lagered beer), my expectations are at an all time low. Clearly the people at Heineken realise that lager is going out of fashion, and they struggle to keep their flagship brand interesting. At the same time they’re very afraid to change it (someone learned a lesson from 1985’s New Coke). Yeah you don’t need much of a shift in taste for lager to become “the stuff my dad drinks” and once that image sets in it’s hard to reverse a long slow decline. Heineken H41 is by no means a pilsner and by no means meant as a move by Heineken to keep pilsner (cause that’s what Roel means, not lager in general) in the picture. I’m surprised at how Heineken is almost immediately distrusted once it launches something new. H41 is a limited edition of an experimental beer with the Patagonian yeast. I’m very aware of the Extra Cold and Extra Fresh nonsense, but that doesn’t automatically mean that everything Heineken does is nonsense. Nor does it mean that they’re afraid of losing ground. For the moment, the pilsner consumption in the Netherlands has come to a standstill or almost; it was reduced by only 0,2% in 2015. But the ground it lost during the last 40 or so years (from around 95-97% to 80%) has been filled by low alcohol, alcohol free and radler just the same as by craft or other specialty beers. I spoke to De Molen brewer Menno Olivier this weekend and he’s not at all that optimistic about the speed of the craft beer rising in the Netherlands. The situation here is also completely different from that in Britain, where different ales were always widely available, even when one of the species dominated. I doubt whether pilsener will be doomed in the end. I suspect that the beverage market of the future will be more fragmented, so there may not be a ‘big’ anything. If I were betting on what supplants lager, I’d have a small bet on the chances of cider. This is based on my son and nephew, both early 20s, having it as their pint of choice.